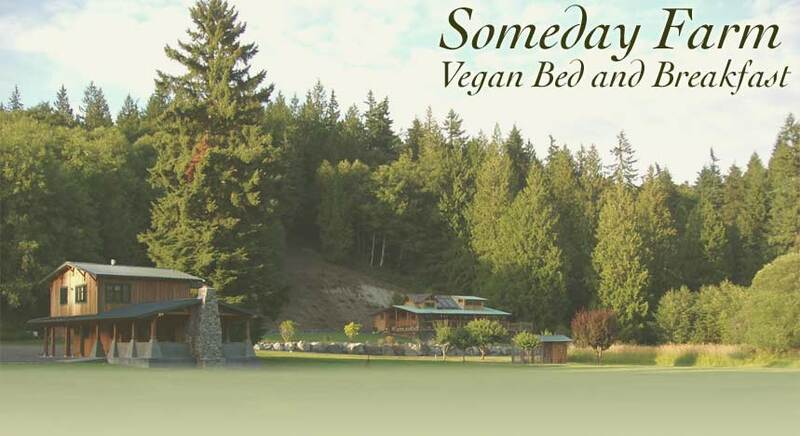 Someday Farm Vegan Bed & Breakfast invites you to relax and rejuvenate and enjoy the peace and quiet of our seventy acres on Washington's South Whidbey Island. Spend a few days at our cozy vegan bed and breakfast retreat surrounded by forest and marsh on beautiful Whidbey Island! Artistically appointed bed and breakfast suite with fully stocked kitchen, surround sound flatscreen and lots of cool stuff to look at and play with. We provide WiFi and an ample supply of books, movies, CDs and games with which to pass your indoor time. There are natural walking trails throughout our B&B property and many animals to visit. We are between the towns of Langley and Coupeville in beautiful Washington state; within 1/2 hour of South Whidbey State park and close to other state and county parks including Fort Casey, Ebey's Landing, Putney Woods and DNR Lands where local trails provide endless hiking, running and biking opportunities. Our bed and breakfast is within 15 minutes walking distance of South Whidbey's beautiful Putney Woods and Goss Lake where canoeing is one of many available water activities. Bicycle campers are welcome; showers and laundry available. WiFi too. Port Townsend is an easy day trip; park your car and walk across on the ferry. OR Just stay put! We offer fresh baked goods and fruit every morning, many varieties of loose tea, and easy to prepare foods in your own vegan kitchen. Vegan desserts available by request for a small fee. Our separate professional vegan kitchen is available for cooking classes and demonstrations. 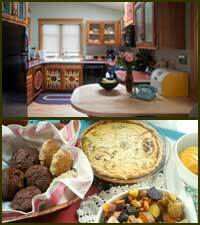 Someday Farm Vegan B&B is available for private parties. Amenities include a covered patio with seating for 30 and an outdoor fireplace. Our beautifully kept grounds are the perfect setting for your groups outdoor activities and lawn sports. We have a television screen for watching the many DVD's we provide, however we do not have cable or television reception. 2 night minimum. All major credit cards accepted.